Andy Hoskins, 55 enjoys exploring new places in the UK and abroad, so was thrilled to finally visit North Norfolk recently. With its beautiful countryside, coastal walks and bracing sea air, it was the perfect place for a relaxing winter break. “My first visit was when my wife and I joined some friends in Letheringsett for New Year. We all enjoy a short break away now and then, and while we usually take city breaks, this time we wanted a dose of fresh air. It was quite a last minute decision but I’m so glad we went to North Norfolk as I’m a keen walker and photographer, particularly of wildlife and scenery. It has beautiful countryside and many opportunities for both these activities. Andy has been on a number of boat trips before and was keen to make the most of North Norfolk’s various water ways and coasts, which led him to Beans Boat Trips. 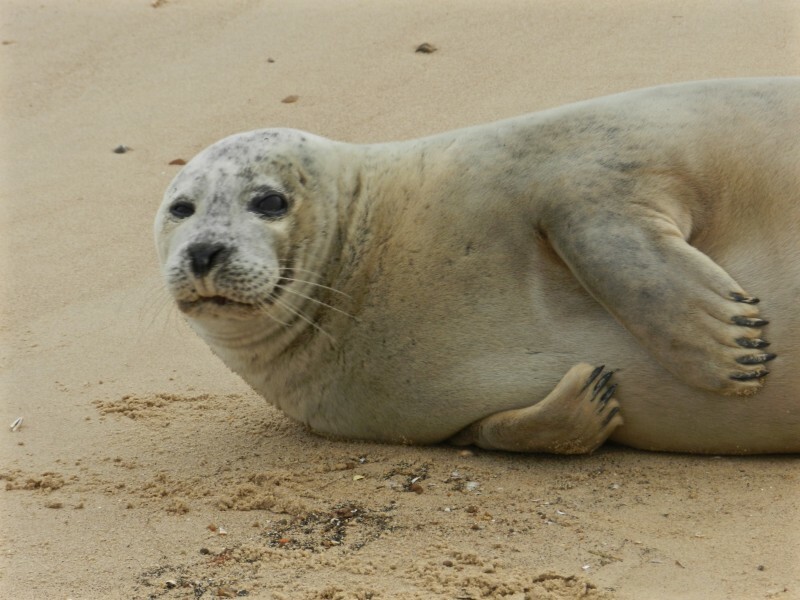 “Whilst down on the Blakeney quay, we noticed signs for various seal watching trips and the Beans Boat Trips notice was the clearest and most informative, so we gave them a ring. We’d already heard of their business whilst looking on Trip Advisor for things to do around Letheringsett before the trip, as had our friends. The man who answered the phone was very helpful and amusing, and they were easy to spot on the map – although the signs are at Blakeney quay, most of the trips take place from Morston quay which is the next village over. “We went on 1st January so it was pretty cold and windy! The boats are open topped so you have a terrific view and lots of photographic opportunities. You do get a bit of spray splashing but the seats are set low in the boat so the wind chill factor isn’t too bad. I’d recommend wearing trousers or shorts that you don’t mind getting a little wet, and a good waterproof jacket depending on the time of year. 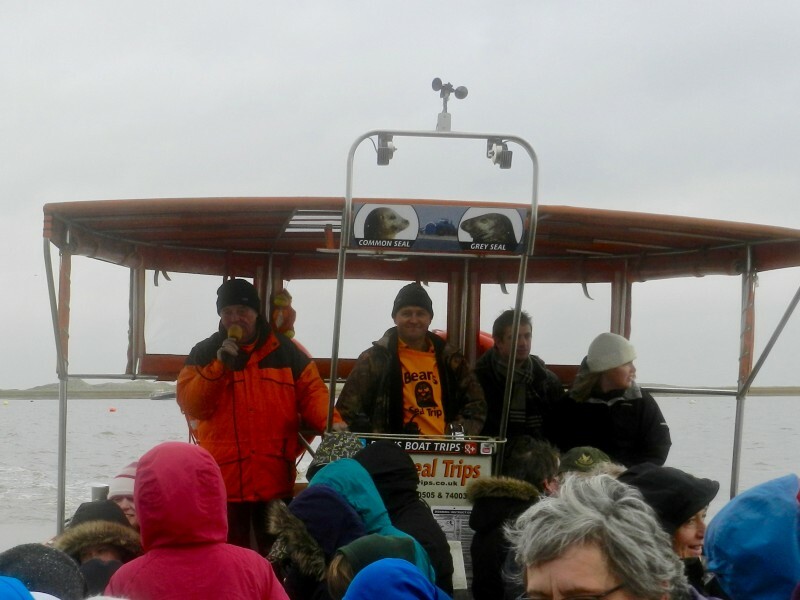 The knowledgeable staff really made the trip special for Andy and were helpful in pointing out the various wildlife and sights. “They were very friendly, funny and helpful. All the chaps were clearly naturally enthusiastic about their job and happy to chat with all the passengers. Judging by their ease with the boat and water, I’m pretty sure they were all long-standing boatmen, probably fishermen. They gave you loads of information about the seals, other wildlife, sights and history of the area via a loudspeaker commentary. The differences between the Common and Grey Seals are pointed out, as well as their life cycles. You pass plenty of other notable points on your way out to the seal beaches, and the local history is amusingly relayed by various staff members. 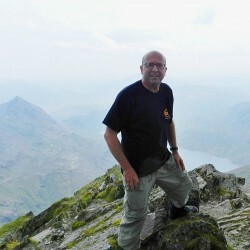 Andy thoroughly enjoyed his trip and would happily recommend Bean’s Boat Trips it to others. Andy also thoroughly enjoyed exploring the local areas, Blakeney in particular, which he’d happily go back to. “I loved walking around the area because of the photographic opportunities presented by the dramatic landscape and wildlife. We went on a couple of long walks, including spending two hours walking along the River Glaven having parked by the quay at Blakeney. The paths winds through the salt marshes where we saw Curlews, Sandpipers and geese, as well as many moored boats and some abandoned hulks. You could just make out a fisherman’s hut on the distant coast as well as Cley windmill, plus many fascinating tributaries and backwaters through the marshes. 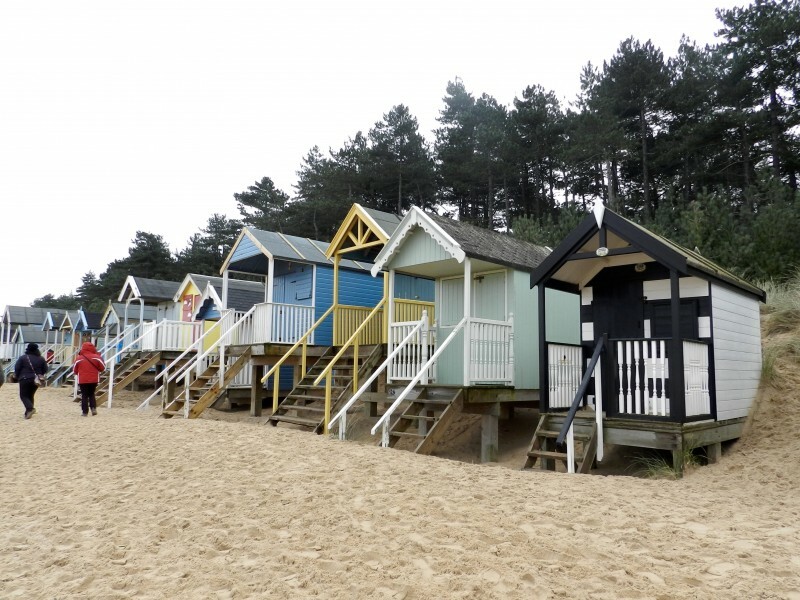 “My favourite beach was Wells-next-the-Sea harbour around towards Holkham. We walked along the high embankment from Wells harbour, a picturesque spot in itself, and then onto the fine sands in front of the dunes bordering Holkham Nature reserve. Here there was a long row of colourful beach huts, many of them open with occupants enjoying tea or cocktails, despite the bitter January wind. Sometimes you can even catch seals on the beach and lots of birdlife. I’m sure we only just scratched the surface of what is possible to explore along the coast as we passed many small reserves and footpaths as we drove around the area. Beans Boats have been operating a ferry service to the seals and Blakeney Point for over 50 years. Grandfather Bean started the business by ferrying passengers to & from Blakeney Point to spend time on the beach. As time progressed, he started taking them for a short boat ride to the end of the spit where a colony of seals lived. This was the start of the business that still carries on today. The business is family run with other crew members who are old friends of many years standing, so it is genuinely a local business with its main concern being to share this amazing area with others. The family have five boats varying in size from a 25 to a 50 seater so larger groups can easily be catered for. All the boats and crews are licensed by the Marine Coastguard Agency which enforces strict safety procedures. The seal boats are based at Morston Quay – a natural area of salt marsh creeks tucked away on the North Norfolk coast and from there the boats travel out into Blakeney Harbour to the end of the spit which forms Blakeney Point. Here seals can be seen in the water as well as basking on the beach. The colony has about 500 seals in total so seeing these creatures is almost guaranteed. There is so much to be seen from the boat -the bird life is varied and changes according to the season – from the thousands of terns in the summer to the vast numbers of geese and waders in the winter. The trips appeal to every kind of visitor – from birdwatchers and nature lovers to the holidaymakers who may rarely see the type of wildlife we have to offer. For the many children who visit us in the school holidays, seeing seals in their natural environment is not only fun and exciting but educational as our crews are always keen to share their knowledge and love of the area. Trips are also popular with school parties as part of field study work or just as an end of term day out. Adult tickets cost £12 while children under 14 are £6. There are also special discounts available for schools and group bookings. Morston quay has ample car parking, free to National Trust members, plus toilets and a café. Morston quay is a 6 minute car drive from the Blakeney Cottage Company HQ in Blakeney, or a 10 minute coach ride by the Coasthopper bus.